I will attempt to designate one post a week as Wedding Wednesday here on the blog. I will chronicle our wedding planning journey, tips, inspiration ideas, personal anecdotes and other things I simply enjoy! Up first: Our Wedding Planner! Oh, Sara. How could I have gotten through eleven months of wedding planning without you?! I never, ever thought in a million years I would hire a wedding planner. I always assumed mom and I were crafty and creative enough to do everything ourselves, and why should I pay someone else to do all the fun parts? We had a fairly small budget and I was willing to cut corners wherever I could. 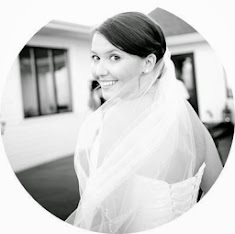 I fell in love with Sara Gillianne's work through lots of Facebook stalking, wedding blog admiring, and seeing the work she was doing with the Pensacola Block Party Wedding. I set up a meeting with her mostly because I was eager to do wedding-y things after getting engaged, and also because I figured it wouldn't hurt to meet with someone in the biz, even if I already knew I couldn't afford a planner in my measly little budget. Oh how wrong I was. I loved Sara immediately. She just got me. We met at a little coffee shop and chatted about themes and colors and settings and feelings I had for the wedding. I didn't know exactly what I wanted, but boy she did! After our initial consultation, Sara put together a proposal based on the few ideas I had and my mini budget and blew both Chris and I out of the water. 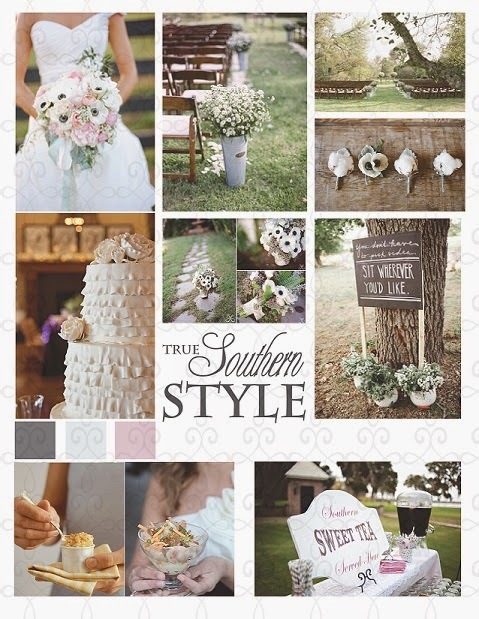 This is the inspiration board she put together for us, and I love love love it!! Our vision for the wedding changed slightly over the course of the planning process, but the overall feel of what she came up with stayed the same -- cozy, comfortable, family friendly, southern charm -- and that is exactly what we got! She was a dream to work with for the entire year...she always kept our budget in mind (even when I didn't...) and worked hard to set us up with vendors who matched our personality and style. She patiently put up with my dozens of weekly emails, texts and phone calls. She set up vendor appointments, cake tastings, and venue tours. She negotiated contracts for us to get prices reduced which enabled us to afford a wedding we previously could have only dreamed of! But let me tell you where the magic really happened: the day of the wedding. I think she hides a tiny wedding fairy in her emergency day of kit because by the time we arrived at the venue Saturday afternoon, it had been completely transformed! I remember walking into the building and losing my ability to speak...the beauty of it all quite literally took my breath away. I never once on the day of my wedding had to worry about whether the cake had been delivered, or if the flowers were set up correctly, or where my wedding rings were or if Chris and the boys had arrived on time. She took over responsibility of everything and coordinated with everyone so that I could enjoy our wedding day. I can say with absolute certainty that hiring Sara was the right decision for us. She is professional, kind, knowledgeable, and an overall joy to work with. If you are planning a wedding, I highly recommend you find room in your budget for a planner. And if you are in the Pensacola/Gulf Coast area, that planner should be Sara Gillianne. Your wedding was lovely and fantastic! !